Q: Do you first have to help people realize they’re captive? That’s an important first step. When you grow up in a particular church context with a particular worldview, you develop assumptions about what faith is. After a while, a culture develops within all churches, and we assume our particular cultural expression of Christianity is what the church is supposed to be. In any context, whether the American church or globally, we have to offer that knowledge about captivity. But part of that comes when we’re in conversation with each other. When a white suburban church talks to an inner-city black church, or a Western church talks to an African church, then we start seeing which things are more cultural and which are more biblical. We start learning from each other what church is really about. Q: So how do you free the church? That’s the tough question. Right now in the U.S., we’re blessed to have an increasingly multicultural society. I’m a Korean and grew up in a Korean church, but I was educated in the context of American Christianity and American culture. So I have a bicultural lens. 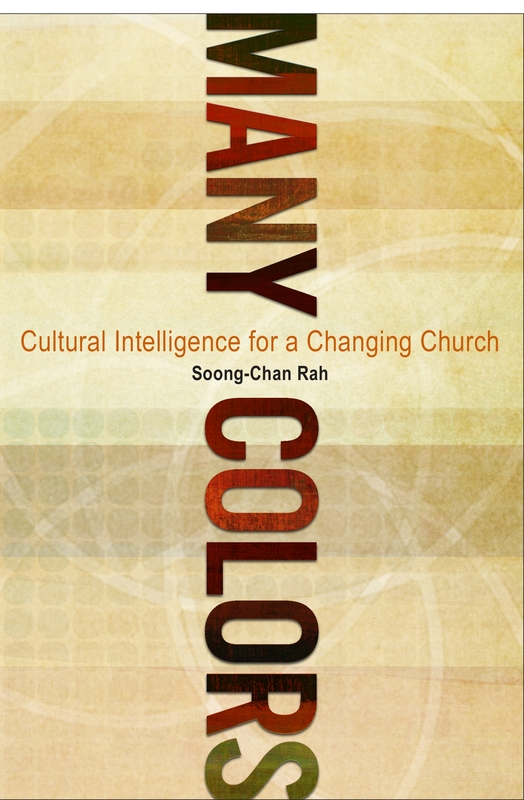 The subtitle of my second book is “Cultural Intelligence for a Changing Church,” but I always thought the better phrase would be “Cultural Intuition.” “Intelligence” implies just a set of knowledge that you pick up. Intuition is more something that you develop through experiences. A person who has lived in one cultural context all their life doesn’t develop an intuition for culture. They might read books on culture and gain knowledge about it, but they won’t develop intuition. Q: What does a culturally sensitive, culturally intuitive church look like? We’re just starting to figure that out. Part of the problem is that the U.S. has very few multiethnic churches. Only about 7 or 8 percent of U.S. churches are multiethnic, meaning 80 percent of one group and 20 percent of another. We don’t have churches that have been at this for 20 to 40 years and know what it’s like to live through stages of church life as a multicultural community. We’re starting to see more examples. I hesitate to suggest principles that everybody should follow, because every context is different. But we have to develop even more intuition, relationships and abilities. We have to be patient. Maybe we first need to have more multiethnic churches and be more intentional about being part of multiethnic communities. Then we can see what principles emerge. Q: You’ve written about the conditions that are required for people to grow and to change regarding issues of race and culture. Tell us about that. I was a pastor for 15 years — 10 of those in one church — and that deeply shaped the way I view how people change. Two variables are helpful, and you have to have both. One is a place of safety, a place where you feel safe enough to ask stupid questions, make mistakes and feel affirmed in your basic identity. That, by the way, is often why people go to single-ethnic churches — because they’re safe. We feel safer with people who are like us and who understand us. But we also need the flip side of that, which is a place of discomfort. Most of us don’t grow unless there’s a reason to grow, unless discomfort is introduced — and usually that is introduced by people who are different. Q: The debate over immigration reform is an area where these issues of safety and discomfort seem relevant. Yet church people have often been some of the harshest voices in the debate. Why? 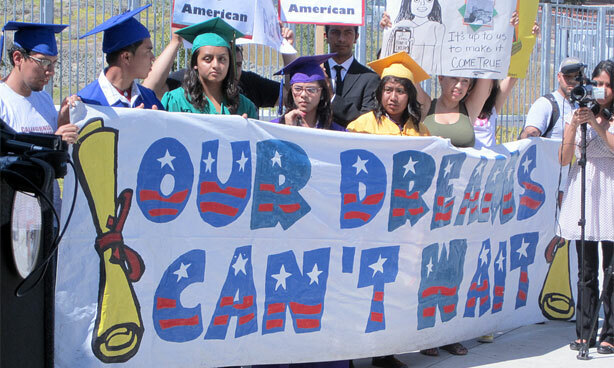 There’s no easy answer, but it goes back to cultural captivity, where being an American and protecting an American identity, usually associated with a white European identity, became more important than the scriptural values of compassion for the alien and immigrant among us. That reflects a cultural Christianity. Christianity as a whole has fallen captive to this idea of American exceptionalism and triumphalism. That has become more important than being the servant of all. I get disturbed when people say, “We want America to be a Christian nation.” That usually means triumph, victory and maybe even violent conquest. The best way for America to be a Christian nation would be if we accepted the alien and immigrant among us. That would be more of a testimony of America as a Christian nation than any Islamic jihad we were able to defeat or put down. Q: How should historically single-ethnic congregations welcome and minster to people of different cultures and languages? What happens when that kind of hospitality changes not only your living arrangements but your food? If I’m a guest in your house, you might fix kimchi for me, but you can throw it out after I leave. But if I’m living with you, that kimchi’s going to be in your refrigerator for a long time, and your milk is going to start tasting like kimchi, and you might not like it as much as when it was just a random, one-night visit. What happens when we live together for a long time and the liturgy changes? What happens when our children marry each other? What happens when all the things that make family life messy become what our church life needs to be? It’s not just a Western host saying, “Hey, come on in. We have room for you.” It’s the church saying, “We are now coming into the fullness of what Christ originally intended.” That is a very different approach to being a multiethnic church. Q: What advice do you have for churches that want to do what you describe? Studies show that neighborhoods generally are six times more diverse than churches. Every neighborhood is different, but the excuse that “our church isn’t multiethnic because the neighborhood isn’t” is probably just that — an excuse. If you look within a mile radius, certainly four or five miles, you’ll see more diversity. Then, also think about evangelism. What does it mean to do outreach and evangelism into communities that are already diverse? Churches should also think seriously about what it means, what it costs, to become a multiethnic church. What would be lost potentially? It could be a lot. I’ve been looking at what dying churches do with their buildings — churches that were vibrant for 40 or 50 years but they’re down to 15, 20 people, and they’re just kind of waiting. They have a huge endowment and the building is paid for, but they’re not going to make it. In many cases, those churches shut down and become community centers or libraries or bowling alleys or condos. But what would it mean for that church to give the building to a Spanish-speaking church or a Korean congregation? That would require thinking about what it means to pass on a legacy to people who are in some sense your children but don’t look anything like you or even speak the same language. It’s coming to a point in American church history where we’re passing on our legacy to people who look very different from us. 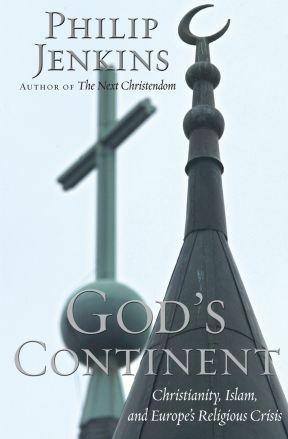 September 2011 on Duke Divinity School’s Faith and Leadership Blog. I did an interview on The Next Evangelicalism. Originally posted on: http://www.faithandleadership.com/qa/soong-chan-rah-freeing-the-captive-church. This is part I of that interview. Our nation’s growing diversity represents more to the church than a pool of potential new members. Even more, it’s an opportunity for the church in America to begin to live out a richer, more biblically authentic form of Christianity, Soong-Chan Rah said. The question for the church in America is not, “Is there diversity?” but, “What do we do about it?” said Rah, the Milton B. Engebretson Associate Professor of Church Growth and Evangelism at North Park Theological Seminary in Chicago. If the goal is hospitality, then the church must decide what kind of hospitality it is willing to extend — traditional Western hospitality or a more demanding, biblical form of hospitality. Rah is the author of “The Next Evangelicalism: Freeing the Church from Western Cultural Captivity” and “Many Colors: Cultural Intelligence for a Changing Church.” He was the founding pastor of Cambridge Community Fellowship Church in Cambridge, Mass., a multiethnic, urban church committed to racial reconciliation and social justice. Rah was a faculty member for the 2011 Summer Institute at Duke Divinity School and spoke with Faith & Leadership about diversity, church growth and freeing the church from cultural captivity. The following is an edited transcript. Q: You’re an associate professor of church growth and evangelism and you write about race, ethnicity and culture. What’s the connection between those? Are race and ethnicity keys to church growth? When we look at evangelism and church growth and America’s changing demographics, we have to consider issues like multicultural and multiethnic ministry. In my own denomination, the Evangelical Covenant Church, the two have gone hand in hand. Diversity has been a big factor in our growth. Twenty years ago, the Evangelical Covenant Church was overwhelmingly white and Swedish, because it was a Swedish immigrant church. But in the last 15 years, it has become 20 to 25 percent nonwhite and has been one of the fastest growing denominations. It’s a place where we see a denomination’s growth parallel its growing diversity. I look first at how Christianity has changed globally and in America. The assumption has been that Christianity in America is on the decline, but because of immigration, we’re actually seeing American Christianity, if not increasing, then certainly leveling off. We can be thankful that immigration and changing demographics are contributing to the church’s growth in the United States. But given that demographic reality, what elements of American Christianity are still beholden to systems and structures from a previous time when it was dominated by Western white culture? And what do we need to think through in light of the changing demographics? So where does our Christianity look more cultural than scriptural? Where do we go from here as we become more ethnically diverse? What is our theological and biblical understanding of culture? How do we start looking at multicultural communities? How can we build cross-cultural relationships? Every expression of Christianity has cultural baggage, both good and bad. All Christianity has cultural relevance to a particular context. Churches need to do that. But at what point does it become captivity rather than relevance? Often, Western white culture has been so dominant in the church that we have trouble distinguishing it from biblical Christianity. As the demographics of America change, how do we understand church not just through a Western lens of Christianity but also other lenses? Q: What are the most obvious signs of the church’s captivity to Western culture? One is the individualism of Western culture. We see this very strongly in evangelicalism, which tends to be highly individualistic. Is that really a biblical approach, or is it acquiescence to American culture? If Western culture is individualistic, then the Western church had to develop patterns of church life that parallel that individualism. But at what point does that become not just relevance but captivity? Another is how we worship. Does our preaching reflect more the values of individualism than biblical values of community life? Western culture is very much about the individual, but is that what the Bible talks about when it talks about church? Do we need to move out from Western cultural captivity to see other models of community and church? How do African and Asian churches do church life? In what ways might they reflect a more communal spirit rather than the individualism of Western culture? Captivity doesn’t allow us to see that. Captivity forces us into a particular worldview that says, “This is the way we do church.” But if we’re freed from that, we can see other expressions of church life. 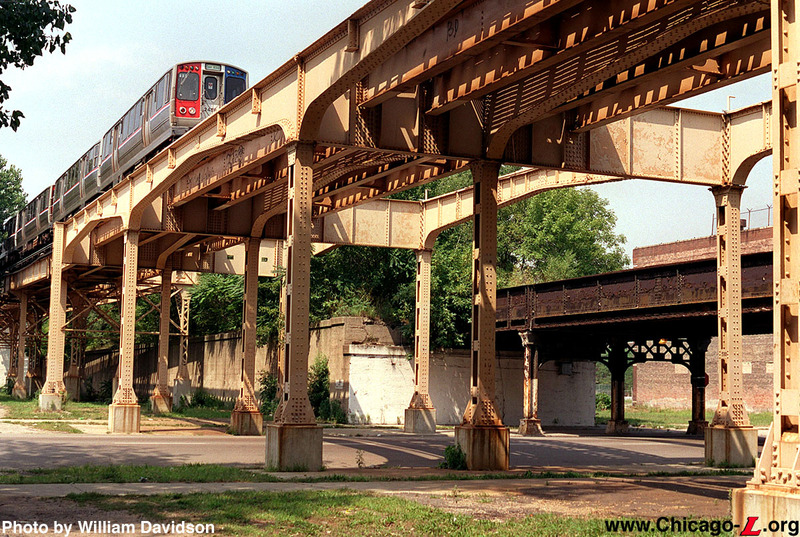 CHICAGO (February 10, 2012) – North Park Theological Seminary is accepting applications for a new, two-year graduate educational program leading to a Certificate in Urban Ministry. The 15-credit certificate program is intended for Christian ministers and lay leaders who want to learn more about engaging in effective ministry in urban settings. The Seminary is part of North Park University, a higher education institution with a Christian, multicultural, and urban identity. Those core values, combined with the cultural and Christian diversity represented in Chicago, position the Seminary to offer a rich educational experience to students, said Dr. Soong-Chan Rah, program director. Rah is Milton B. Engebretson Associate Professor of Church Growth and Evangelism for the Seminary, and a former urban pastor himself. Offering a certificate program in urban ministry is part of a larger trend of urbanization and the growing influences of urban culture, Rah said. Both the University and Seminary are affiliated with the Evangelical Covenant Church (ECC), which is planting new congregations in urban areas, Rah said. Urban pastors and urban lay workers could benefit greatly from the certificate program, Rah said. “We hope it will strengthen and undergird their urban ministry,” he said. The program can also introduce people to urban ministry who want to learn more. The urban environment is complex, constantly changing, and always challenging, Rah said. The certificate program will emphasize deeper theological and spiritual engagement, as well as practical ideas for enhancing urban ministry. “We do this ministry as followers of Jesus. Anytime we can deepen the theology, it is a good thing. Also important are spiritual formation and discipleship. All of these serve to strengthen our work in the city,” he said. Students who complete the program will earn 15 credit hours in just over two years. Plans call for the first cohort to meet Aug. 13–17 in Chicago, followed by online coursework beginning in October. The cohort will meet in Chicago for another week in August 2013, followed by online coursework. A final week-long gathering in Chicago is planned for August 2014. Rah said an ideal size for the urban ministry cohort is about 15 to 20 people. Applications and supporting materials must be submitted to North Park Theological Seminary by March 31, said E. Kirsten Burdick, director of Seminary admissions. All applications will be considered at the same time in April, she said. Richard Twiss leads off our 4days4justice with a chapel service at North Park Theological Seminary on Wednesday, April 14th. Richard Twiss will also be part of the fishbowl discussions on Thursday and Friday (April 15 and 16) on developing an Evangelical Social Ethic for the 21st Century. TO REGISTER for 4days4justice, link HERE.